The assumption is it will be much faster. But it will also be expensive and time-consuming to create the switch from 4G, which means consumers and businesses can expect higher prices. The biggest impact of 5G could be that the distinction between wired and wireless networks will blur as Comcast and Charter Communications , and the biggest wireless providers, AT&T and Verizon, adopt similar technologies and transform the way the internet reaches consumers.Cable companies have the advantage: They are already focused on homes and offices, rather than mobile. And even on mobile devices, 80% of data use happens over Wi-Fi. 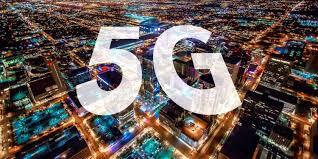 You may have heard that fifth-generation wireless technology, better known as 5G, is coming, and it’ll be awesome. If you don’t know anything more than that, you are far from alone. The Trump administration recently blocked a takeover of U.S. firm Qualcomm QCOM 1.30% by Singapore-based Broadcom, on the grounds it would undermine U.S. strength in 5G technology and damage national security. Meanwhile, we’ve seen a drumbeat of 5G press releases from telecommunications companies, whose breathless hype about blistering speeds and astounding applications make 5G sound like it’s right around the corner. The shift is inevitable, but it’ll take time. And the breathlessness may be overblown. Like past generational shifts, the move from current 4G LTE wireless to next-gen 5G will be hugely expensive and will result in patchy coverage for years to come. What’s different is that after all the infrastructure upgrades, much of the time your phone’s connection to the internet might not be any faster. The biggest impact of 5G could be that the distinction between wired and wireless networks will blur, as America’s two biggest “wireline” service providers, Comcast and Charter Communications , CHTR 1.62% and the biggest wireless providers, AT&T T 0.25% and Verizon, adopt similar technologies and transform the way the internet reaches consumers. To understand any of this, we have to start with what 5G is and how it will work. Today’s 4G LTE wireless technology is enabled mostly by large cell towers of the sort used to create cell networks since the days of Gordon Gekko and Zack Morris. In rural areas these towers can be tens of miles apart; in Manhattan there are more than 50 per square mile. The radio waves that come from these towers are in the megahertz-to- low-gigahertz range and vary according to which bits of spectrum a carrier has licensed from the FCC. These radio waves can travel long distances and penetrate buildings, so they can reach you wherever you are. At its most basic level, 5G can be an upgrade to existing infrastructure like this. As a grab bag of the latest tricks for making wireless networks better—including targeting radio beams and a huge increase in the number of antennas—5G can operate across all the spectrum currently used by telecoms companies, from 600 megahertz on up. In theory, this would make any existing spectrum it’s applied to more reliable—though not necessarily faster. The aspect of 5G that grabs headlines is its incredible speed. That comes from a rollout of wireless across new, higher-frequency spectrum. Waves with a frequency in the tens of gigahertz—known as “millimeter waves” because their wavelength measures a few millimeters, rather than today’s longer-wave frequencies—can carry an order of magnitude more data, in theory. But these waves can’t travel very far or penetrate most building materials including glass, and they get absorbed by foliage and rain. If the old way of doing things was to set up widely spaced towers and pass longer-range wireless between them, the new approach is to turn the disadvantage of 5G—the short distance over which it operates—into an advantage. By subdividing an area into many more cells, 5G could allow wireless companies to reduce the number of users connecting to any given tower, while simultaneously making radios in both our phones and on the towers faster. If that sounds familiar, it’s because this is similar to how a Wi-Fi network inside an airport or office building works. It’s true that 5G will go into cell towers. T-Mobile is building it out in 30 cities, and its customers will be able to access it in 2019 when the first 5G phones become available, a company spokeswoman says. But what makes more sense for high-speed 5G is an ultradense web of radios, many not much bigger than a Wi-Fi access point. All of these must be physically connected to power and the internet and dwell where the network operator already has right of way. Initially, 5G will work much the way cable or fiber-optic internet service works now. A 5G wireless base station will connect with an antenna hung on a home or office, which will connect with a Wi-Fi network inside the home. Phones will appear later, in 2019, but the number of places where you’ll be able to get high-speed 5G access will be extremely limited. Because of this, wired networks are suddenly hot again, and cable carriers have an advantage at the start. Telecom companies like Verizon and AT&T say this shift will only expand their business, as new applications for 5G, from self-driving cars to mobile augmented reality, stoke demand. But they need to keep building their fiber-optic networks to make it happen. AT&T plans to extend fiber near (but not directly to) 22 million homes and businesses by July 2019. Verizon currently has nearly six million customers for its fiber-optic home internet service, making it well-situated to roll out a dense, fiber-optic-powered 5G network in regions where it already offers its Fios service, says Bill Stone, vice president of network planning at Verizon. Cable companies, which already have dense wired networks, see an opportunity to move into mobile, a Charter Communications spokesman says. Charter will be rolling out its own mobile service in the middle of 2018. Comcast already has a wireless service with 380,000 subscribers, but it hasn’t elaborated on future plans for it.Jonathan Chaplin, managing partner at New Street Research, which specializes in telecommunications, says cable companies do have the advantage: They are already focused on homes and offices, rather than mobile use. And even on mobile devices, more than 80% of our data use happens over Wi-Fi. Given the complexity and expense of building out full-coverage 5G networks, expect a long, slow rollout of services like these. At some point, with enough nodes densely packed in across big cities, any of these carriers could go from offering wireless inside buildings to offering it outdoors, too. Eventually, that patchy Wi-Fi-like network will get good enough so that we can trust 5G—and then, maybe, you’ll get into an autonomous vehicle connected to it. But it could take years.